Seen the other day at the airport in Newark, USA. When the reality of Windows OS is brought to the foreground for non-obvious reasons. 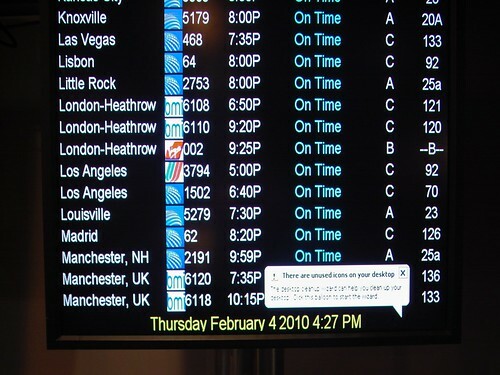 Why would we care, as users of this display, to see this message?